If you’ve been injured, learn about your opportunities to recover compensation. free consultation and fixed fee representation – let me help now. I’ll fight for for you in seeking a better outcome. Paul has helped me a couple of times with some pretty important (to me and my family) issues. Hiring him to represent me was the best investment I have ever made. Thank you Paul. Do not be fooled by Attorney King's pleasant demeanor. Thanks to his comprehensive knowledge of the law and careful attention to my criminal case, we got the best possible outcome and now I have my life back! Attorney King has represented me on multiple matters, some very serious, and each time successfully. He is exceptionally professional, honest and well-versed in the law. 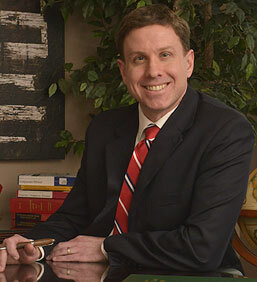 I would not hesitate to recommend him to anyone in need of an excellent attorney. No one ever expects to be hurt in a car crash or another accident caused by someone else. When a crash or an accident happens, the least we can expect is for the other party and their insurance company to promptly pay for our damages and injuries. Unfortunately, that’s not how it usually works. Drunk driving is a serious charge.In Massachusetts, the legal terminology for drunk driving includes Operating Under the Influence (OUI), Driving Under the Influence (DUI) and Driving While Intoxicated (DWI). 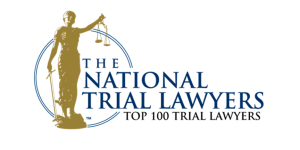 My criminal defense practice for impaired driving is focused on seeking the best outcome for every client. Learn how I will fight for you. Don’t pay your traffic without first understanding your rights. I help clients in seeking dismissal or a reduction in charges, and to fight tickets that were wrongly issued. Find out about your options and how I can help you. I represent clients in divorce, alimony, child custody, and child support cases. My goal is to create a comprehensive strategy for achieving your objectives in timely, and cost-effective manner. Typically, settlements through negotiation, mediation, and creative problem-solving will provide the best results, but if these methods are not successful, then trial can be used. With an office in Tewksbury, Massachusetts, I provide representation for clients throughout Massachusetts and Southern New Hampshire; specifically including Middlesex County (including Ayer, Concord, Tewksbury, Wilmington, Lowell, Billerica, Chelmsford, Dracut, Reading, Tyngsboro, Westford, Woburn and Stoneham); Essex County (including Lawrence, Andover, North Andover, Newburyport, Haverhill and Methuen); Hillsborough County (including Nashua and Pelham); and Rockingham County (including Derry, Brentwood, Windham and Salem). Estimated 2018 Pedestrian Fatalities are the highest since 1990. Learn about the factors involving the increase in pedestrian fatalities. Can Prosecutors Use Facebook and Social Media Accounts to Find Evidence About a Crime? Increasingly, Americans are not getting enough sleep. Tragically, sleep deprivation is a factor in vehicle accidents, especially involving long-distance truck drivers. Find out what needs to be done to determine whether sleep deprivation may be a cause of your accident.